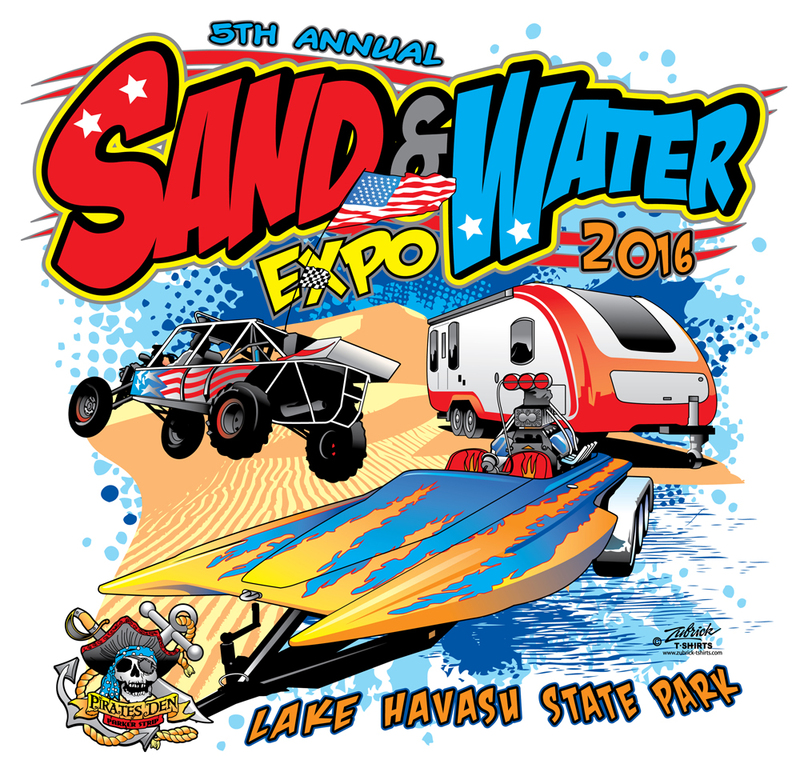 A lot of Expo fans have been waiting for this….the new Sand-Water-RV Expo T-Shirt design is here, and they will be on sale at the Expo starting Saturday morning, November 19 at the Zubrick T-Shirt booth when the Expo opens at Lake Havasu State Park. These are greeat souvenirs of the premier outdoor motorsports expo in the Southwest. Be sure and hit the Zubrick booth early when you come to the Expo, these shirts always sell-out quickly — if you don’t, you’ll have to wait another whole year for the 2017 model.